A luminescent tag, contactless printed onto a plastic foil. The light emitting layer is thinner than a human hair. The imprint can be erased and replaced by another pattern. A team of physicists headed by Prof. Sebastian Reineke of TU Dresden developed a new method of storing information in fully transparent plastic foils. Their innovative idea was now published in the renowned online journal “Science Advances”. Prof. Reineke and his LEXOS team work with simple plastic foils with a thickness of less than 50 µm, which is thinner than a human hair. In these transparent plastic foils, they introduce organic luminescent molecules. In the beginning, these molecules are in an inactive, dark state. By locally using ultraviolet irradiation, it is possible to turn this dark state into an active, luminescent one. By mask illumination or laser writing, activated patterns can be printed onto the foil with a resolution that is comparable to common laser printers. Similar to glow-in-the-dark stickers, the patterns can be brought to shine and the imprinted information can be read. By illuminating with infrared light, the tag is erased completely and new data can be written into it. This figure shows the multiple writing, reading and erasing cycles. The UV-illuminated patterns can be erased by infrared light again and again. The working principle of these programmable transparent tags is based on the well-known oxygen molecule. Oxygen is present in the plastic foil and steals the light energy from the glowing molecules. Ultraviolet radiation induces a chemical reaction which efficiently removes the oxygen from the layer. In consequence, the luminescent molecules are activated and are able to emit light. The deactivation process using infrared light is based on a temperature rise of the foil, leading to an increased oxygen permeability and therefore a refilling of the layer with oxygen. These novel tags can be manufactured in any size. The low material costs of less than two euro per square meter promise a wide range of possible applications: Information such as barcodes, serial numbers or addresses can be hidden for on-demand readout only. Also, these invisible tags could propel document security and anti-counterfeiting to a whole new level. The LEXOS group is part of the Dresden Integrated Center for Applied Physics and Photonics Materials (IAPP) and the Institute of Applied Physics of the Technische Universität Dresden and led by Prof. Sebastian Reineke. One focus of the LEXOS group is the investigation of excitonic and luminescent systems covering organic and other related emerging materials. The group has strong expertise in the optical spectroscopy of such systems. One current example is the investigation of organic biluminescence, where luminophores show both fluorescence and phosphorescence at room temperature. Further, the LEXOS group has long-standing expertise in the research and development of organic light-emitting diodes (OLEDs). The current OLED research comprises stack and concept development, devices optics, charge transport and recombination studies, long-term stability investigations, material development (dopant and emitter materials), and device integration. 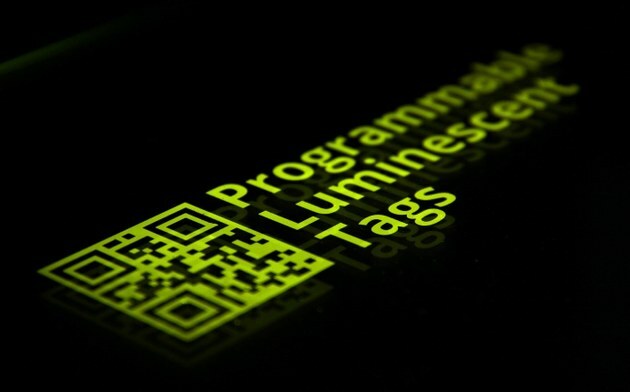 Citation: Programmable transparent organic luminescent tags. Could Undersea Gases Superheat Our Planet Again? Does Anyone Really Know What a Black Hole Is?